Australian Immigration website is not just the place to find the visa information now. The Australian government has now bought all its departments under one roof. 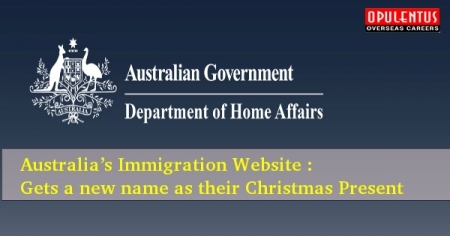 The new website www.homeaffiars.gov.au will be a one-stop shop for different portfolios such as Australia’s Federal Law Enforcement, National and Transport Security, Criminal Justice, Emergency Management, Multicultural Affairs and Immigration and Border-related functions and agencies. The Home Affairs portfolio, including the Department of Home Affairs, was formally established on 20th December 2017 with the motto to keep Australia safe. All the departments which were operating their own websites will now be auto-routed to Home Affairs website for user convenience. As informed, this department is formally launched and the website is not fully functioning, as we can find few options and links available are not operational and this may take some more time for them to take complete charge and provide required information on this website.